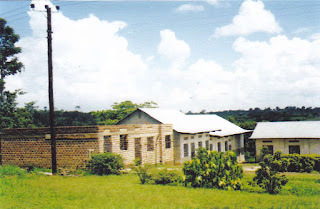 The Guildford Mukono Link has helped three students from Lutengo United Senior Secondary School - Bridget, Harriet and Kalule - to continue their education beyond secondary school. A large amount of sponsorship came from Sue Knight‘s son running sponsored marathons. 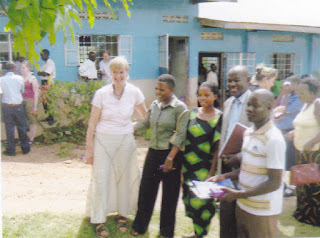 2007 saw the first three nominated students - Bridget, Harriet and Abau (known to us by his surname Kalule) - complete their “A” levels and receive funding to go on to university. 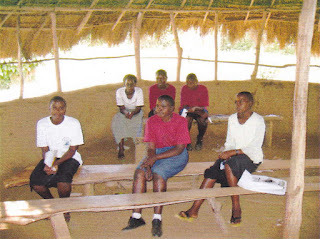 Bridget undertook a degree in Economics, while Harriet and Kalule took degrees in Social Administration with additional computer and sports studies. 2011 was graduation year with Bridget taking up a teaching post at her former school, Edward’s help and support being invaluable. By now Harriet was working in a computer company and Kalule was employed by a Telecoms company but still following his passion for football by coaching local youngsters after work. 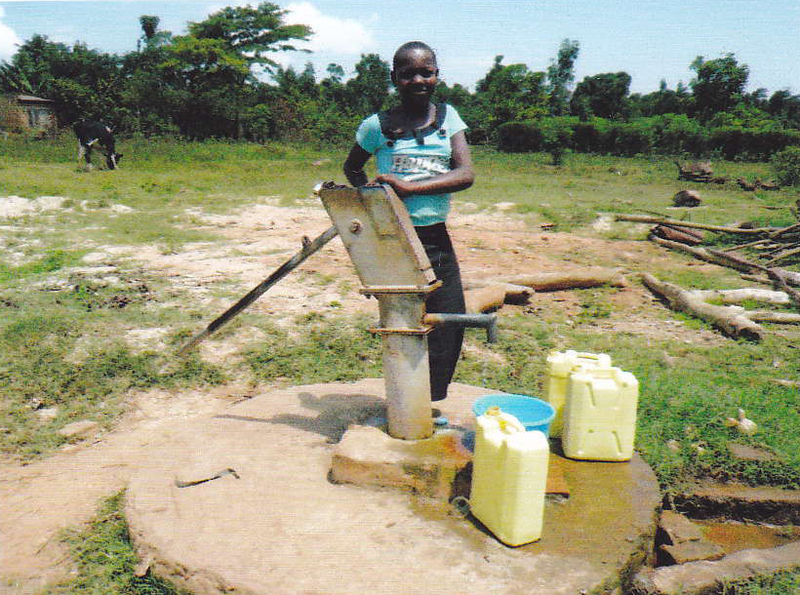 In 2015 we see Bridget having successfully run her own kindergarten and now thinking of founding a primary school. Kalule, as well as his daytime work, is now enjoying running a chicken farm he built with several relatives and becoming an important member of the Mukono Kids League. Harriet is still working in the Telecoms company but trying to find more interesting and rewarding work. We are proud of all their achievements and those of a handful of students who have been able to follow a similar route after school. My Guildford Mukono Link experience has been with education, particularly through links with Guildford secondary schools with Lutengo United School, where Edward Kaweesi is the Headteacher. Edward is due to visit Guildford in late May 2017. 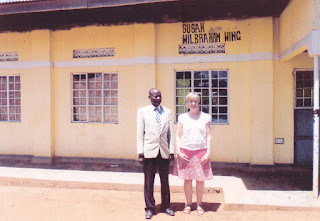 Having been introduced to him and his school, Sue Knight, my Guildford Fairtrade partner and myself decided to give our additional profit from fairly traded goods sales to further education at his school. 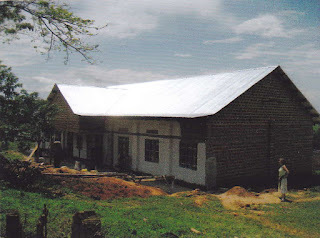 With help from churches and individuals as well, we have been able to fund the building of several classrooms, two dormitories and a computer lab. The photo (alongside) shows one of the original classrooms, with its clay plastered wall, wooden supports and grass roofing. 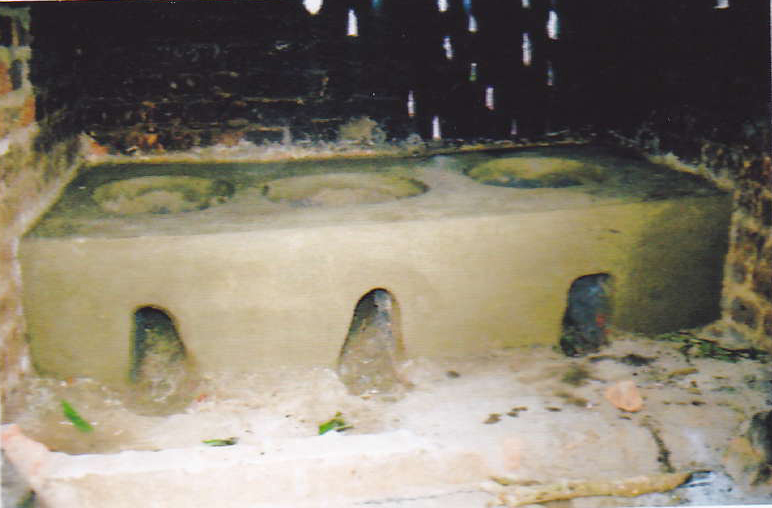 All these materials were gathered and made by local people. 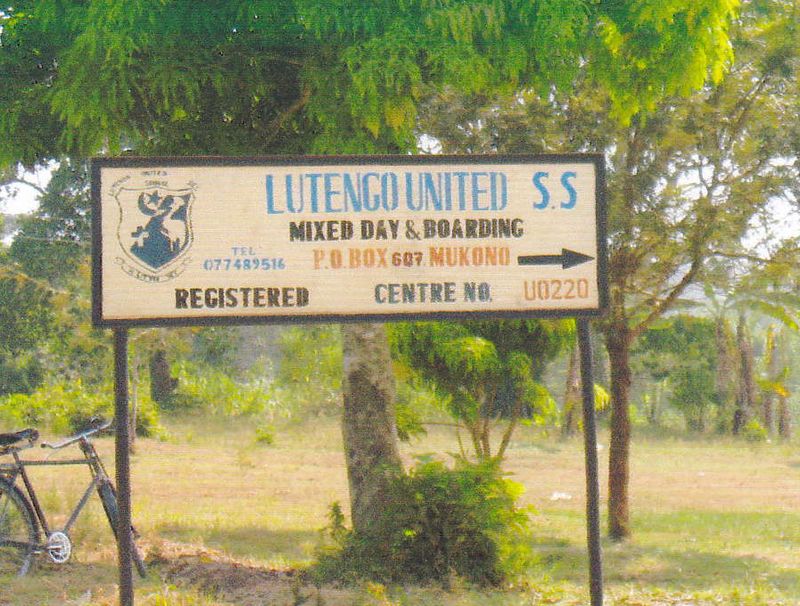 Lutengo United Secondary School was established in the year 2000 by Edward Kaweesi, Founder and head teacher. 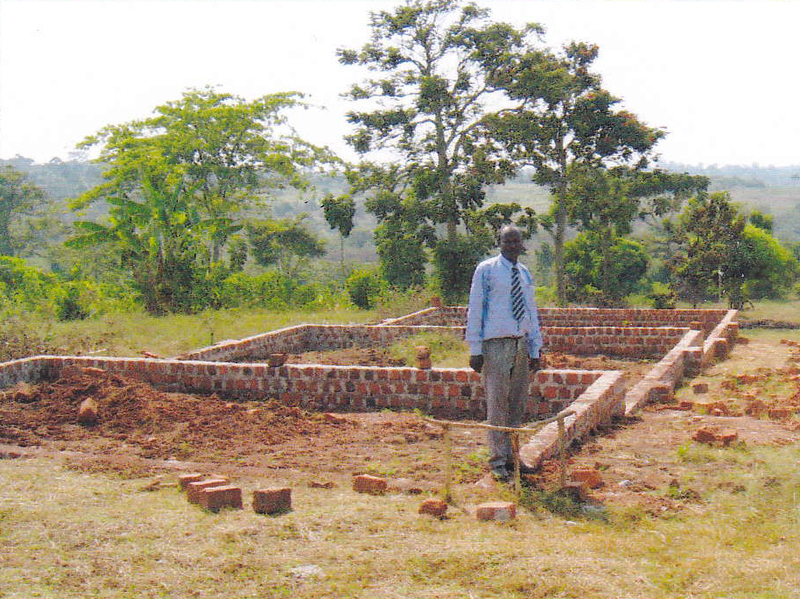 Our photo shows Edward Kaweesi standing proudly by footings of new classrooms. 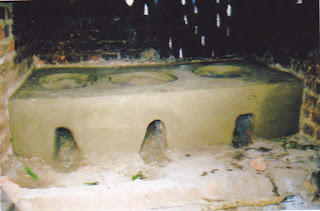 The bricks were made on site by children shaping clay found on school land which was left in the sun to dry. 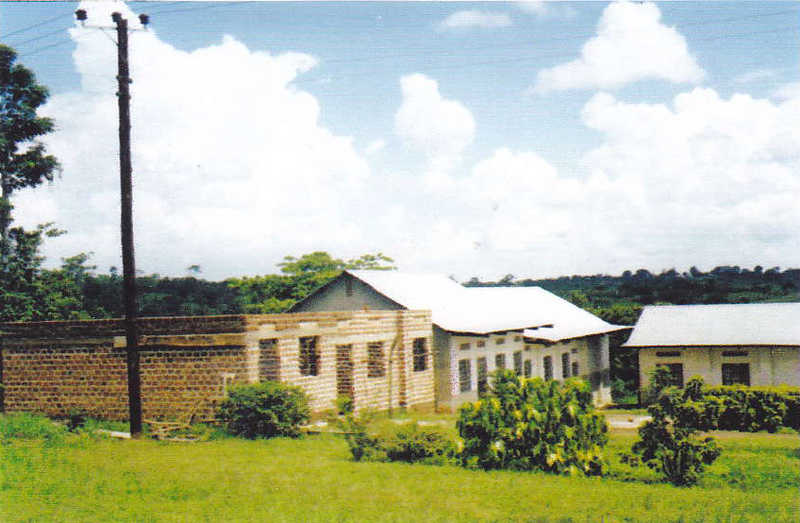 By 2005 the original classrooms of wood and clay with thatched roofs were being replaced by brick-built, iron-roofed ones with support from the Guildford Mukono Link and churches in the Guildford area. Our photo shows the almost finished classrooms. Additional money came from ourselves for costly roofing. Edward has no money coming from the government, so it is therefore a private school, but Edward is definitely in charge! 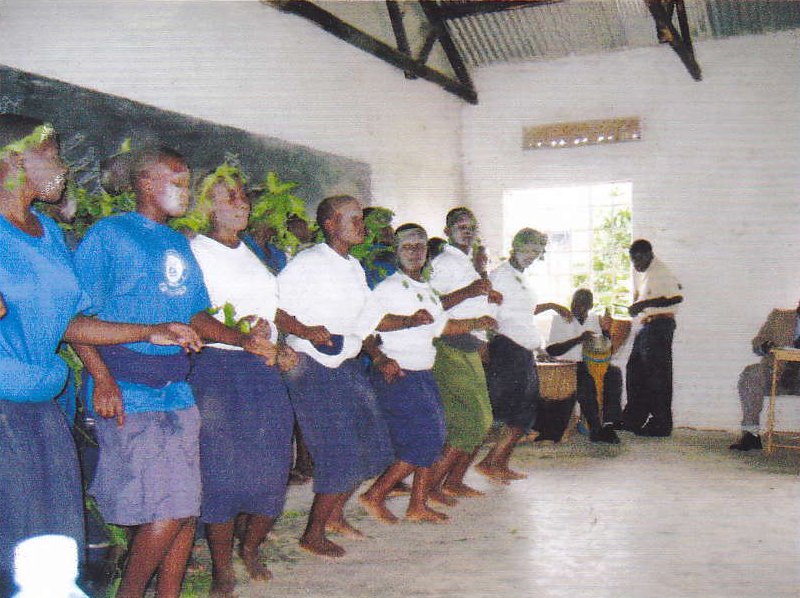 Visitors to the school are received with much singing and dancing accompanied by drumming. Children naturally have great rhythm and sense of dance. 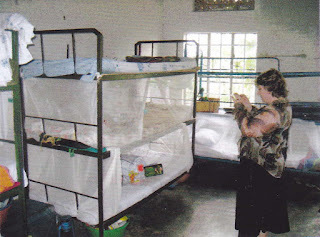 A new large girls’ dormitory was opened in 2009 thanks to Fairtrade funding plus input from St Peter’s School, Merrow, which is linked with Lutengo. 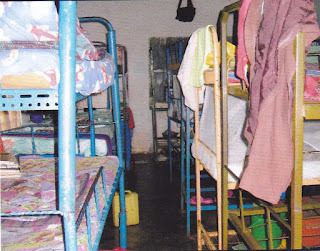 By 2010 the boys’ equivalent dormitory had been built. 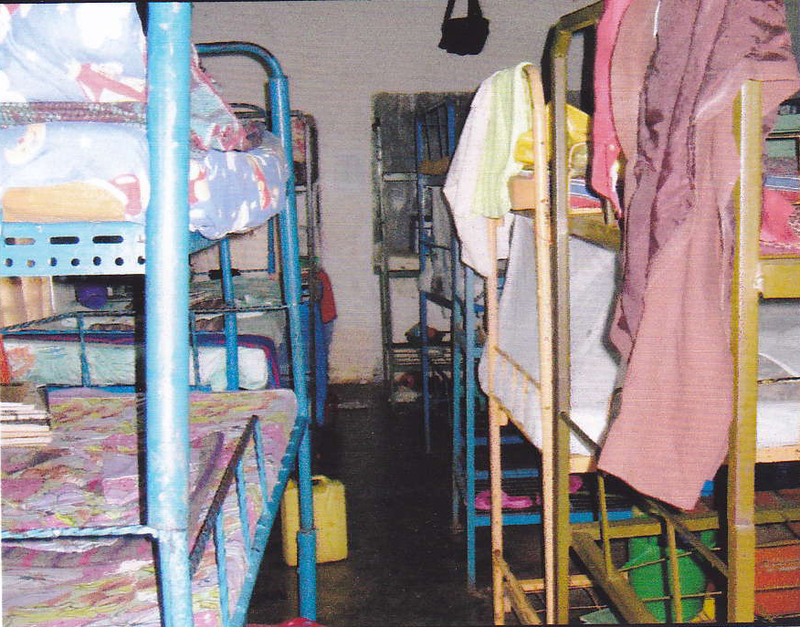 Our photo shows the three-tier bunks in a former girls` dormitory, with little space, no personal area and no mosquito nets. The new two-tier girls` bunk beds, with nets and more space! 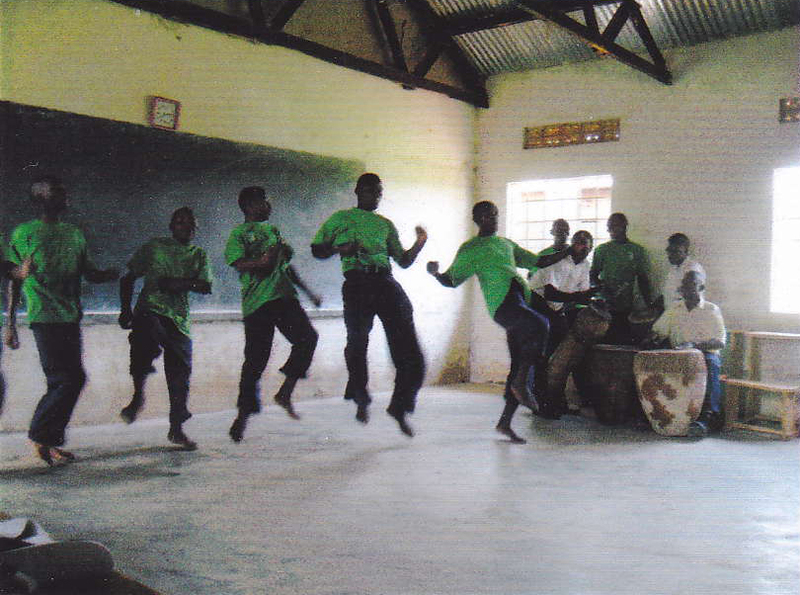 In 2011 a fuel – efficient stove was installed at Lutengo School to save on fuel costs. Emily Thornberry, MP, Shadow Defence Secretary was in Mukono 2011 to open the new library named in honour of her mother Sallie Thornberry who began the Guildford Mukono Link link when Mayor. formerly a Drama and English teacher at St Peter's Secondary School, Merrow, which is part of Guildford. Metal roofing increases temperatures during hottest times, so we have paid for false ceilings to offset this, i.e. plasterboard fixed to the wooden eaves. ............ Do you know that that our Guildford Mukono Link Community Sports programme has been running in the Mukono District of Uganda for nearly SEVEN YEARS !!! Hundreds/ thousands of children have benefited from the after school weekly sports sessions which have been led by teachers, university students, and coaches from TKL (The Kids League in Kampala). 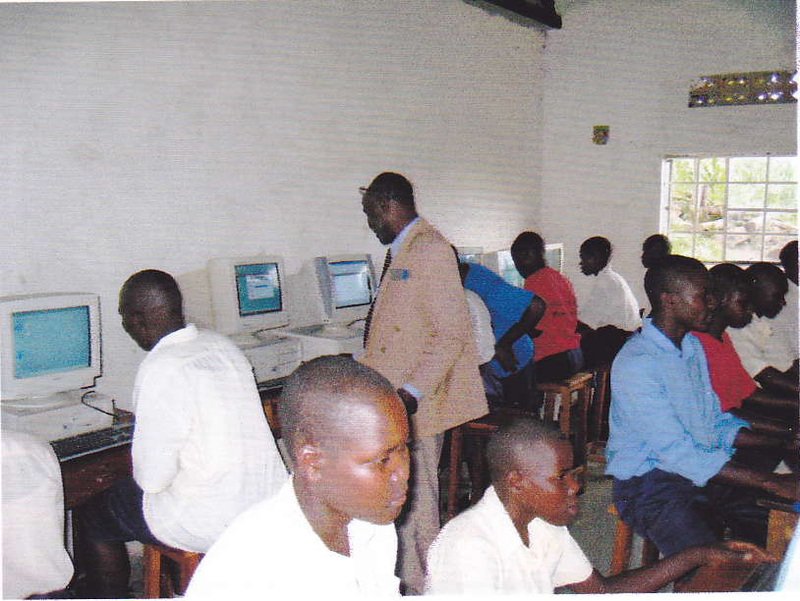 These sessions have taken place at four school centres – Mukono Boarding School, Namawojjolo, Mbalala and more recently St Kizitos. ............The emphasis has been on football, with girls and boys of primary school age taking part whatever their ability. Numerous children play barefooted – they just want to take part! For many this an opportunity to have a bit of fun at the end of the school day, for some who don’t even go to school it may have been the first step towards taking part in an organised activity. For others it has offered a chance to improve their skills, to learn about supporting one another, to understand the importance of exercise for health and fitness reasons. I witnessed one group learning the alphabet and counting as part of their group activity! Brilliant! ............To fund the equipment and to pay the teachers and coaches some small expenses, the Guildford Mukono Link has fund raised. We have held dinners, raffles, received sponsorship money through Peter Rattray and Luke and Shaz Bishop’s cycling in events, received donations from the Casey Trust, Adam Nally and further individuals, such as Terry Smith and our Trustees. Equipment and T-shirts have been donated from the University of Surrey, Guildford, Cranleigh and Bagshot football clubs! 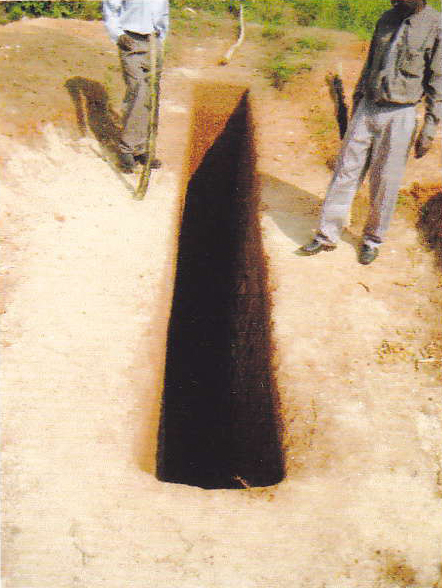 ............This has all been wonderful but HOW does the project remain sustainable? Well, 2017 sees a slightly new direction for the project. With the same strong organizational framework, the teachers in the school centres are taking on all the coaching themselves, so reducing administration and travelling costs. For just over £1000 a year the programmes can continue at three centres. Surely we can raise this money to continue the opportunity for 300 - 500 children take part each week! Would you like to give a donation to help this great project to continue … for another seven years?